When you cut that lovely big lump of timber beware of spring . Sometimes there is internal stress in timber and when it is cut it changes shape. I can't advise further as I don't know your species or how dry the stick is. I have seen a lot of old Oaks in my life but I have yet to see one that could give a 10" x 16" x 22' beam clear of the heart, sap and without huge knots. I wish I knew where to find one that was that big and free for the taking! I''l just have to live with a built up keel. On a side note does anyone have experience with a Sawsquatch? Not with a Sawsquatch but we have a number of 10 1/4" Bigfoots in our shop (timber framing). We were just talking the other day at lunch that the next saw purchase might ought to be a Sawsquatch. My understanding is that the motors and gearing are beefier than Skil's 7 1/4's. I think a Bigfoot will make a slightly deeper cut though. I have to knock the keel timbers down to size in the not too distant future. Also, when I milled the lumber I left the vast majority wild edged and milled on the thick side. The thought of wrestling a 3"x18"x14' hunk of oak on the table saw is not appealing. I have to rip a straight edge on them first and my circular saw won't go thru in one pass. I am thinking of picking up a Sawsquatch and making a ripping table so I can quickly and relatively easily bring those big slabs down to size. Has anyone used a set up like that and/or used a Sawsquatch? Not sure what you mean by "making a ripping table". A straight-edge guide maybe? To my knowledge they are much beefier than the 7/14's the Sawsquatch was made to turn a 10" blade. Seems like a good saw for a decent price, not sure on the durability. I have a lot of tough oak to test one with! ha! My thought is to build a bench in the boat shed 20' long and 2' deep with a built in straight-edge that is fixed 4" or so above the table and protruding over the table 1' or so. I could drop the board on the table, slide it under the straight-edge until the cut lines up the way I want it. Then run the sawsquatch down the guide. Kinda like a band-saw mill where the log stays put and the blade moves. I could rip a straight edge on the board then go to the table saw, or set up stops and make repeat cuts with the sawsquatch. Between ribs, decking, ceiling, flooring, every board being wild edged, I got a lotta ripping to do! This is the other alternative . yes i was going to suggest a chainsaw and a couple of sets of blades for your electric plane. 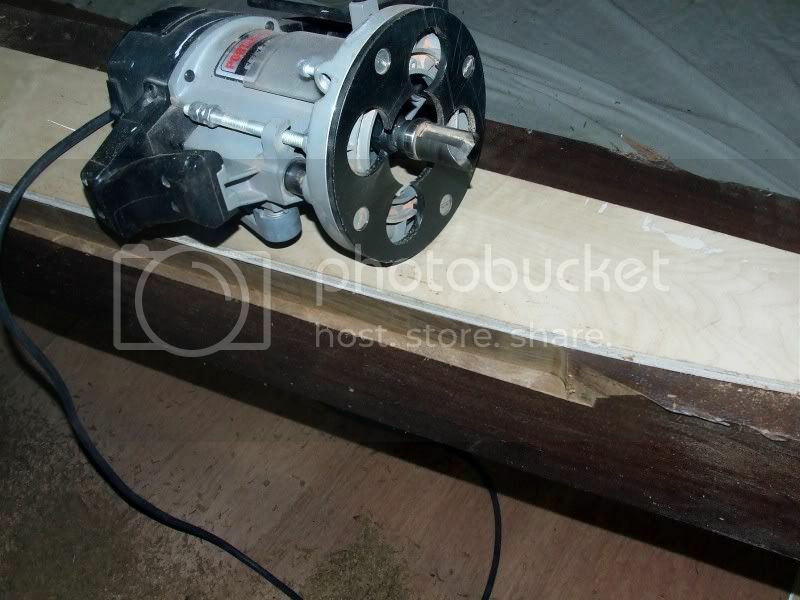 Another idea would be one of those Makita 16" circular saws, cant remember the model but they are the business. Google and you could probably pick up a second hand one and flog it again when finished. Another trick i saw recently was to cut one face, drill through kerf with a skinny long bit to mark out opposite face then mark and cut, would only work to your longest bit though? You'd need to put timber through thicknesser to make faces parellel too I'm guessing. It will save you money on drill bits for all those nail or screw holes too. I would expect the durability will be fine. We cut heaps of old dry reclaimed hardwood timbers with the 7 1/4 motors/10" saws and haven't had problems. Although we don't do a whole lot of ripping with them (have mills for that). Using good blades helps. Look forward to seeing what you come up with for your ripping table if you go that route. For 3" thick material I wouldn't bother with a 16" beam saw or chainsaw. You're right JP 16" is overkill, I just re-read #37 where i thought he was talking about cutting 8 and 10" timbers. 10" blade would be plenty for 3"
Once the boats done and we sail off into the wild blue yonder I plan to bring a decent kit of hand tools and the Squatch might make the list. Could bolt it to a piece of plywood or a board and turn it into a little table saw or use it as intended. Could be a handy thing to have. The boards I will rip down to rough size, joint and plane them, then finish cutting them to size. The boards as they stand are too big to go through my jointer and planer. The big timbers I will have to square up by hand, no way can I shove one of those into my planer! Oddly enough I am not dreading that. Some good tunes and a day with the scrub plane and we should be close. I have found the scrub the fastest way to bring big hunks down quickly and controlled, it's much faster than my power planer and less chance of a screw up than an adze or big chisel. Once it's within a 1/4" the power planer makes quick work of the rough surface left by the scrub. Since the scrub has a dumb iron and is for rough work I sharpen it like my roughing gouges for the lathe. It takes less than 1 min on the water cooled grinder to bring it back to fighting form. The spoke drill bits are cool! I would never have thought about doing that. Drill bits do add up quickly! The spoke drill bit is an old one, you can even make tiny ones from bike spokes. It used to be a standard tool for British and Australian boatbuilders. I bought a used 16" Makita skilsaw to be able to cut through the 6" thick keel timbers for my catboat. I found it underpowered for the job, so I would use a 7 1/4" skilsaw to make the initial cut and then follow with the big saw. When I was lofting I made up two thirty foot battens from clear cedar rippings. You really need to be able to batten your long lines in one piece. I think I used the standard 12/1 scarf. Here's a good trick to have in your bag o' tricks...a honking big router with the biggest top bearing bit available. You can make a plywood pattern of any shape and follow it with the router. Once you have made the initial cut, you can get rid of the pattern and get an extra half inch of depth. If this won't cut three inches from one side it would be pretty close. You can keep dropping the bit depth until the collet goes below the baseplate. 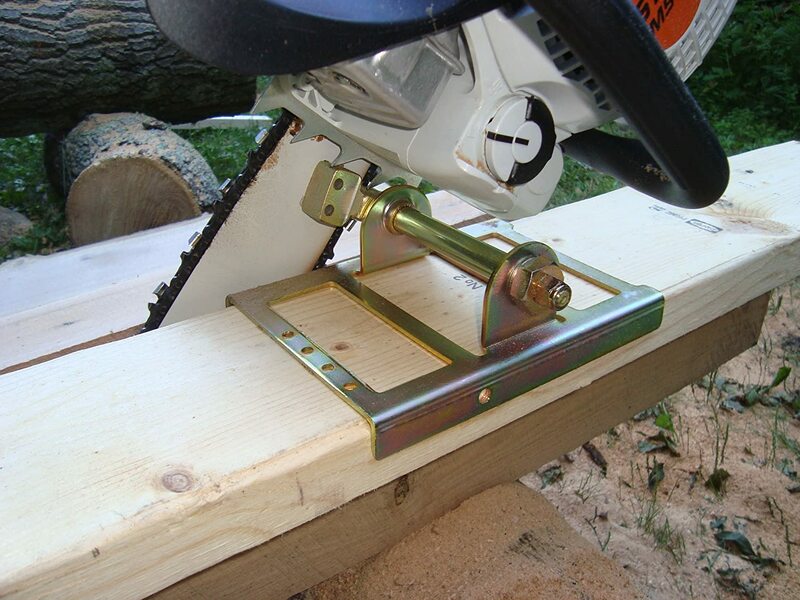 The cut is automatically square with the surface, and if it's not deep enough you can flip the timber and use a bottom bearing bit to work from the opposite side. It's all in my book. Collet extensions are available too. Covered in Jim's tome, pages 6&7. I do get down in the valley ir/regularly/but haven't been in Granby for many years. We'll see. Thanks. I would not have guessed the beam saw would be under powered. I have looked at a couple but they were all expensive and it seemed like overkill for what I have to cut. I have seen the router trick before but I have not tried it. Jim- I had no clue you wrote a book. I assume about boat building? Where can I find myself a copy? I found where I read batten scarfs should be a 20 to 1, but if 12 to 1 worked for your catboat it should work for Arabella. Thursday we will get a few long battens glued up, gotta go down to the wood yard and find a nice clear chunk of pine. Very excited for 5 straight days of boat building! Just gotta get through the next three days of work. You can often find suitable wood for battens by looking at construction grade douglas fir. If you look at sixteen foot 2x12's you often see long clear sections out near the edes that can be ripped and scarfed together. Wide, long lumber will give the best chance of finding suitable wood because it's gotten out of larger trees. Another plus, the board foot price of construction lumber is low. That router thing is not a trick, it's a way of life. Embrace it. I believe JP was referring to the Brewer Catboat thread. The book is not ready yet, I'm still working on the ending. Usually when someone says "it's a way of life. Embrace it." I do exactly the opposite, but I will try to curb my natural instincts on this one. I went hunting through the top of the pine stack in the wood yard today and found these two possible batten boards. Both have 14' clear runs but the grain is a bit wavy. Do you think these would suffice or should I dig deeper into the pile? At that point maybe digging through Home Depot's pile would be easier. I'm not quite ready to shuffle and sort the pine. We scarfed up a 32+' white pine batten that was right around 3/4" square, it has worked quite lovely so far. The profile view with all the framing is drawn in as is the rudder. We did the half breadths yesterday and plotted all the points for the frame view. So far the points seem decent, we have faired past a few but it has only been by a 1/6-3/8" or so, we will see what happens when the frame view gets sprung and we compare the views. I found a mechanical pencil with 2.0mm lead works very well on the particle board floor, we have 12 different colors which is helping dramatically with not confusing lines. The smaller diameter lead pencils broke every couple feet, the 2.0mm leaves a little fatter line but it seems like it is accurate enough and breaks much less frequently. After getting part way through this process I wish I could give these plans to 3 different pro boat builders, see how they figure it all out and how similar/different the boats come out. Maybe it is just my ignorance but it seems there is quite a bit of room for personal judgement in this process. The only real hicup we have found is at station 10 in the half breadth view, Water line 5 was plotted to be narrower than the bottom of keel and narrower than the top of iron. The rest of the stations all had bottom of keel as the narrowest, top of the iron as middle and water line 5 as the widest. At station 10 the points are all within a 1/4 of each other and within 3" of the center line. Measuring off the half breadths its all too muddled to tell and Atkins does not have the top of the iron drawn in anywhere we can find, just points listed in the table of offsets. If we measure from the half breadth drawings showing a cross section of station 10 than water line 5 would be plotted wider than waterline 4 Which is not how it's drawn or shown in the table of offsets. So we are a bit confused. The top of iron at this point does not matter too much because we are doing a lead keel which ends around station 8 so at 10 it will just be deadwood. We faired the batten to look good with waterline 4, and plotted the top of iron just below it and the bottom of the keel just below that. Which seems to make sense looking at the drawings but does not quite agree with any measurement we can conjur up. Maybe the issue will be sorted out when we plot the frame view? Is the construction the same for iron and lead? Iron adds strength to the backbone, lead takes it away. Hi guys. Tuned in. Can't add anything helpful at this point, but watching. Hey sdenette, (by the way, what do we call you - just sdenette?) I'm watching this thread with fascination. I've done boatbuilding school and worked in the trade a few years, even lofted a couple of boats a lifetime ago. But mainly interested because I own a wooden Ingrid and they are such beauties. My boat was built near Victoria, BC in 1966/67 by Dale Nordlund. He was a lifelong lumberjack, boatbuilder and world voyager who just passed away last spring. I had the pleasure to meet him just before he passed and he talked of building the boat on a float in Canoe Cove, with no power, just hand tools. He finished the structure in 9 months. The owner then finished out the interior and added the rig. Anyway, best of luck as you progress through the build and thanks for posting it. Other than much more deadwood the plans are the same for the lead and iron keel. I will take and post some pictures of those aspect of the plans. I do have concerns about the consolidated weight of the lead plus using a built up keel instead of a solid timber. The timbers are pretty massive, the lead is thick so I don't think it will want to sag, and the floors one walks on are a substantial ways above the floor timbers so putting in some monster floor timbers to help carry the ballast could be a possibility. Once lofting is done I will post my thoughts on the wood keel assembly and floors around the ballast, I would love to hear everyone's thoughts on it. I have a few ideas but am waiting to see what the shape looks like and what options there are with the beams I have. You can call me Steve, and I am building the boat with my buddy Alix. That's really cool you have a wooden Ingrid! I am certainly going to pick your brain about the interior, rigging.... I have yet to actually see an Ingrid or meet someone who owns a wooden version. How do you like her? Anything you wish you could change? Does it have the ketch rig as the plans call for? I have read the woodies sail better than the glass versions, the glass ones apparently came with much less ballast. Do you have any experience comparing the two? A hull in 9 months with just hand tools! He was a stouter man than I! Glad to have you following along! It is a concern but I don't know how serious it is. A lead casting is definitely bendable , I know because a 5400# lead keel here fell of it's chocks and bent, not much but it took lots of work to straighten it. It was about 10'' wide and 14'' deep. Iron would be far,far stiffer. I sometimes wonder if it would be possible to add a couple of lengths of railway line as reinforcing ..... it would need to be held down of course as it would float. The keel bolts holes would have to be cored as it would be unfortunate to find the railway line when trying to drill them! A lead keel is bolted to a boat. A boat is bolted to an iron (or cement) keel. That is a simple thing I was taught. Then there is the issue of lead keels "sticking" to rocks and reefs. Just this past winter my buddy was stuck on a reef in 6 feet of water. Lead was gouged inches deep.Iron will slide off. Will Arabella be gaff or Beermudian rigged? Ingrid is a deep deadrise boat. ( very similar to mine, just faster) She might be a better cruising boat with iron outside and lead inside. We do have a ketch rig. I've also heard that the wooden ones outperform the glass ones, but don't have enough experience with sailing either one to make a comparison. We purchased the boat a year ago, and promptly removed the rig and masts for rebuilding. Just got the standing rig back in last month, and am putting together new running rig. Then we'll go sailing! We plan to re-do the interior layout. The original owner put the head in the forepeak, and installed a bathtub (yes, you read that right)! A half size, custom fiberglass sitting tub. We've removed that, and plan to convert the fore to a V berth. It'll take a little re-routing of the anchor chain to fit the berth between it and the bulkhead just aft of the main mast. I have been debating about lead verse iron for some time, so many pros and cons on both sides. I really need to call a couple foundries and see what getting an iron keel poured will cost. I settled on lead because it seemed like the cheaper option since we are stupid enough to attempt the pour ourselves but lead has proven harder and more costly to find than anticipated. If the cost looks similar I might really consider iron. Either way I will have to make a decision sooner than later! Here are the plans for both the iron and lead versions. The plans are for a bermuda rig but there is just something about a gaff rig that calls to me. Yet another decision I have not settled on. I would be very happy to hear any thoughts ya'll have about lead verse iron and bermuda verse gaff. I have no personal experience with cruising boats so all I know is what I have read and from what I have read reminds me of the Chevy verse Ford debate. Someone really liked their baths! haha Good luck getting the rigging and interior finished, I will certainly be interested in hearing what you think of her once you get some sailing in. That was a great article btw thanks for sharing! A bermudian will put more strain on the hull than a gaffer. A carvel boat does not take the strain of bermudian well. The hull is "soft", in that it is meant to flex and move, and it DOES.Every time you crank that backstay to point a bit higher, the boat gets a bit hogged, the frames try to pull apart , the garbd opens up. Consider there were only a few decades in which bermudian rigs were put in carvel (wood) boats. Of course there are exceptions, but carvel boats get old before their time because of the modern rig. There are other pros and cons of each of course, this is just one. You obviously want to build her old school, I am not going to try to convince you that strip planked is better,(stiffer, stronger, drier, easier and faster to build). Putting a modern rig... just something to consider. Among a long term, long distance , experienced cruisers, the popularity of gaff is higher than in the local marina. Cheaper, (up front and in the long run)easier(possible) to build and repair. I am bias of course. I might want to research why that motor is installed with a flat shaft. I assume by "flat" you are referring to the angle of the shaft? That is something I know absolutely nothing about and am not even sure where I should begin researching. So long as the propeller is deep enough in the water why would the shaft angle matter? I assume the motors are usually higher than the propeller so the shaft is angled with a universal type joint at each end like a PTO shaft? Lofting continues this afternoon straight through the weekend. The frame view is plotted, looking forward to springing the battens and moving on the comparing the views. Let the head scratching commence! Thanks for all the insight so far! Last edited by nedL; 10-06-2016 at 09:17 AM. Also nice jab! The feistiness of the forum is something I have enjoyed and appreciated. If you ever find yourself up this way feel free to stop by, we could use as much guidance as we can get! Whoever told you that a carvel planked boat is "soft" and that it was meant to "flex and move" should have their head examined. And I'm surprised that you, with all your boat building experience, would think that is true. If a carvel planked boat flexes and moves there is something seriously wrong with the boat. If you have a carvel planked boat and you "crank that backstay" to point a bit higher, eventually, after lots of cranking, the boat might start to get leaks but its not because the boat is carvel planked, its because you kept cranking that backstay a little tighter. I don't know how many decades bermudian rigs were put in carvel planked boats but I do know that thousands and thousands of them are still sailing as is my 60 year-old Malabar Junior which doesn't leak a drop unless I forget to close the hatch when it rains. Carvel planked boats don't deteriorate because of the Bermudian rig in them. They go down hill because of neglectful or inept owners. Following with interest. Just in case you don't know, there's a place in Providence, RI that makes lead keels. Don't think they do iron. "near it, a small whale-boat, painted red and blue, the delight of the king's old age."